It might be hard to remember a time when barcodes were not part of our daily lives, but it was not until the 1970s that they first made an impact. Although the first patent was actually issued in 1952, it was still some time later that they were commercially used to label railroad cars. However, it took until June 1974 before the first scanner was installed at a Marsh’s supermarket in Ohio, USA, allowing a product with a barcode attached to be read the very first time. Unassumingly, this was just a simple packet of Wrigley’s® chewing gum. Decades after that first scan, we can hardly imagine a world without barcodes. Available in various guises, barcodes continue to benefit industries that manufacture, buy, sell and distribute products. They help collect data faster and more reliably, improve decision making, eliminate the possibility of human error, reduce employee training time and track products throughout their lifecycle. They are also extremely versatile, inexpensive to design and print and ultimately reduce costs. This is the one we are all familiar with. The code information is horizontal left to right and read by a scanner. Several versions of 1-D codes store only numerical data while others can encode additional characters. With field interchangeable communication modules, one reader can be configured to meet specific communication needs. Available with both corded and wireless modules. In between, 1-D and 2-D, these codes use the height of the bars, instead of the spaces between the black and white widths. Most use numbers, but some now include lettering. 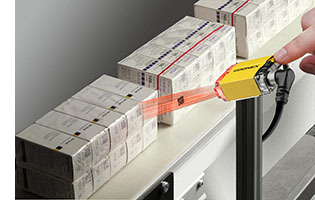 There are many types of barcode scanners on the market that address the many applications that use barcodes. Decoding capability, performance reliability and communications are key to getting the data into the system. The most important way to rank barcode reader performance is by its read rate. Read rate is the number of barcodes read divided by the number attempted. It’s usually expressed as a percentage and the closer to 100%, the better. Read rate is the best measure of how reliable and robust the reader is to the barcodes seen on the factory floor. Barcode quality feedback. In many production lines, it is important to maintain the barcode print quality at a high level to ensure that the code can be read by other readers in the product distribution chain. Image-based readers can provide this feedback on every code they read. Extracting the data. After marking the part or product and reading the code, the data is stored or used within the plant or distribution center’s MES (Manufacturing Execution System). If available, Ethernet communication is the fastest and most reliable method of data transfer.